Puccini is back with a new collection of neckwear accessories you'll fall in love with! 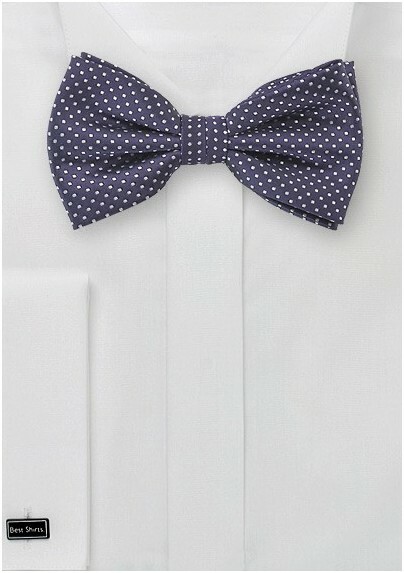 This dark purple bow tie sports a design of woven white polka dots, and includes a pre-tied bow for quick and easy wear. This handsome piece is woven from man-made microfiber for an affordable fabric that boasts the same soft texture as silk. 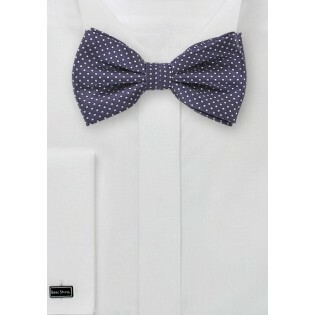 Also available in a matching necktie and pocket square.